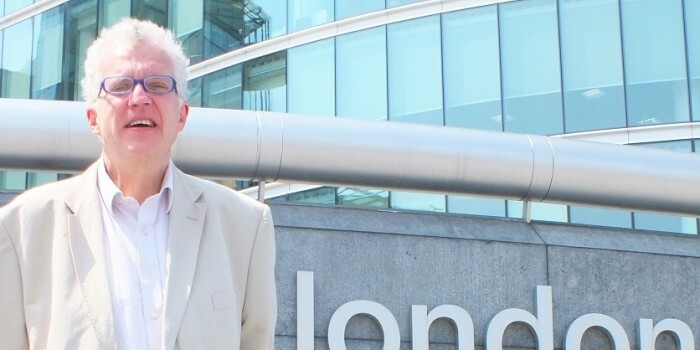 As Eurotunnel continues to totter under punishing debt, CHRISTIAN WOLMAR warns that the new £1.9bn CTRL must not repeat the mistakes which have led to serious underuse of the tunnel itself. We are not good at infrastructure in this country. Either we simply don’t provide enough, because of the cost, or when we have it we don’t use it properly. On the first point, simply consider the continued delays over Crossrail, a railway which clearly is needed if London is to remain a world city. On the second, let’s look at the UK’s greatest underused transport asset, the Channel Tunnel. Its owner, Eurotunnel, is about to go bust. Weighed down by an unpayable debt and with the number of passengers falling in 2002/03 as a result of September 11, the company has been forced to seek some kind of rescue package from the French and British governments. The situation has been made more urgent by the fact that the original usage agreement, which guaranteed high levels of payment to the company in return for train paths that were never actually used, comes up for renegotiation in two years time. Ah yes, you may say, but all this was provided by the private sector so it does not matter because taxpayers were not involved. Well, that’s bunkum. The usage agreement was, in fact, a secret form of subsidy to the company, a way of getting roundMrs Thatcher’s famous ban on any British government support for the project, which was enshrined in legislation. The system works in a bizarre way. Eurotunnel receives a fixed amount, underwritten by the governments, for providing the train paths. Then on top of that it gets more money for every freight wagon or passenger using the tunnel. So the company gets paid for trains that are not running, and this daft method of funding has made the project less useful than if it had been simply underwritten by the state. Because the agreement is coming up for renegotiation, the deterrent effect of the high usage charges has been belatedly recognised by the company. On February 9, Eurotunnel announced that after a year-long study, it had realised that increasing the numbers of people using the tunnel was essential for its future success and that the only way of achieving this was to reduce access charges ( RAIL 481). I could have told it that for a rather cheaper consultancy fee, which might have been sensible given its current financial difficulties. The lorry shuttles have been the most lucrative of the services, but have still not managed to corner all the potential market. The performance of through freight traffic has been nothing short of a disaster. Thanks to a series of problems, such as the inflexibility of SNCF working practices, unreliability in France and Italy, and the security issues over asylum seekers, the tonnage being carried through the tunnel is the same as that carried on the old boat trains. In order to boost traffic, Eurotunnel itself is going to start its own freight operation, rather than relying on EWS. The passenger shuttle services through the tunnel have been reasonably successful, though numbers fell back last year, and the unexpected survival of several ferry services remains a constant threat. Eurostar, too, has underperformed, falling back last year because of terrorismfears among North Americans, a key part of its market. Although numbers have begun to pick up again under the new boss, Richard Brown, thanks to better marketing and cheap deals as well as the 20min reduction in journey time as a result of the CTRL, there are still only half the predicted but unrealistic target of 14 million passengers a year. And there have never been local services – Ashford to Calais or Lille, or London to Calais – tomake use of the spare train paths because the high cost of the tunnel would havemade them uneconomic. Surely the link will not suffer the same fate of underuse? Well, so far, the first half, opened on September 28, is used on weekdays by just 23 Eurostar services in each direction, hardly overcrowding for a scheme that cost around £1.9 billion. Of course, when the second half is completed, which will bring the total spending to more than £5bn, there is much more scope for its use. But the cash constraints which the railway is under and the lack of enthusiasm in the Treasury for spending any more may severely restrict the potential, unless great imagination is shown by the Strategic Rail Authority and its master, the Department for Transport. One of the great problems for the tunnel has been the lack of flexibility, abetted by the ridiculous safety and security requirements. For example, using 18-coach trains on the Brussels route has always been a nonsense and, indeed, outside peak hours, half the train is left empty to save on staff, a fantastic waste of energy and resources. Another barrier is that neither the tunnel nor Eurostar has been seen as part of the existing railway, but as a separate entity. And there are the high access charges. The same mistakes must not bemade with the CTRL. Originally, the SRA drew up a specification for the timetable for the domestic services on the link which completely ignored the existing services but, following an outcry from experienced railway managers, this bit of lunacy was scrapped. Now, the SRA has come up with amuch better policy which even, bravely, suggests that some stations used by tiny numbers should be bypassed for much of the day. However, it is predicted on new rolling stock and that is where the danger lies. The IntegratedKent Franchise consultation document published in February says that the government has given permission for the investment in the stock, but will that money materialise when the cost of the 175 coaches turns out to be something around £500m because of the expensive specification, suchas being able to use three power sources, and the extra safety requirements because of the long tunnel from Dagenham to the St Pancras throat? Or, toput it another way, will the SRA have to make cuts elsewhere in order to convince the Treasury, whose view of the railway is alarmingly negative at present, that it is a worthwhile investment? Might it not be more sensible to use an existing type of rolling stock, even if this cannot run at the 125mph minimum line speed? Sure, that might use up a few more train paths, but with flighting of types of trains, that may not be sucha serious problem. And it could save massive amounts of money for an organisation that is so cash-strapped it had to scrapdozens of rail partnership schemes across the country (but apparently canafford £1 /2 mon more spin doctors – sorry, couldn’t resist that one). Or could the never-used provincial Eurostars not bedrummed intoaction, at least initially to test the waters for the service? The SRA says that it wants to keep timetable changes to a minimum and only have onemajor recast of the timetable. But this lack of flexibility is daft and runs counter to the authority’s frequently stated desire to be more market-oriented. The new line offers all sorts of potential uses. The most basic and cheapest service would be just to run the new trains from Ashford viaEbbsfleet toSt Pancras, expecting people to drive or take trains to the two Kent stations. But the consultation document suggests a whole host of services into deepest Kent, which is to be welcomed. What about at the other end, however? Given the success ofThameslink as a cross-London service, why not run trains along any of the north of Londonmain lines, using theNorth London Line as a link. Could trains not be split at St Pancras to go to different destinations? Flexibility and adaptability must be the key strategy. As with the Channel Tunnel, the cost of the train paths has been underwritten by the government. This represents a hidden subsidy but, given the current cash constraints on the SRA, it might seek to recoup as much as possible from the train operators. And high access charges will be a deterrent to intensive use of a valuable asset. Moreover, the franchising system does not allow for this type of flexibility. Such through services would compete with franchises that have already been let and therefore the franchisees would demand compensation. It is another irony of the privatised railway that it is more rigid thanBR, whichcould put toes in the market without having to deal with a panoply of consequential commercial and legal difficulties. In addition, once a set of services for Kent has been franchised out, it would be difficult to change the timetable without compensation having to be paid or lengthy and expensive negotiations. So would it not be sensible to wait and see, allow South Eastern Trains – which is currently under direct SRA control – to be the initial franchisee while various possibilities are tested out, and then let the franchise out towards the end of the decade? Indeed, the whole idea of running the competition for theKent franchise – there are four on the shortlist – before the timetable and service levels have been determined, let alone the rolling stock ordered, appears misconceived. But this approach is yet another example of the way the SRA is hidebound by its particular – short-term and unstrategic – view of the best way of harnessingmarket forces. Perhaps its budget for consultancy might more usefully be spent on better understanding of strategic use and development of the infrastructure rather than spin? Or am I missing something?